Colorectal carcinoma is a significant source of major morbidity and mortality. Sonic hedgehog (Shh) is expressed in normal gastrointestinal tract mucosa and in many malignancies. The purpose of the present study is to investigate the relationship between Shh immunoexpression in CRC and clinicopathological characteristics. Paraffin blocks of 155 primary CRCs and 37 nodal metastases were retrieved and tissue microarrays were constructed. 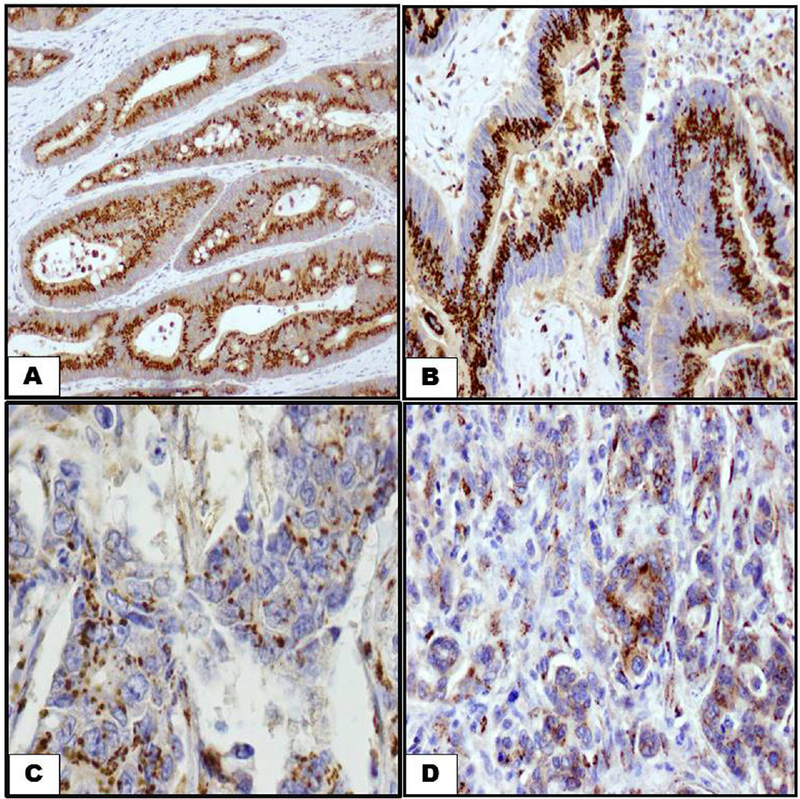 Immunohistochemistry was performed using anti-Shh antibody. Immunostaining was scored and results were analysed in relation to the clinicopathological parameters. Shh was overexpressed in primary CRC (p = 0.02) and in nodal metastasis (p = 0.004). There was no difference between Shh immunoexpression in primary CRC and in nodal metastasis (p = 0.941). High Shh immunoexpression was associated with well differentiated tumours (p = 0.004). However, there was no association with other clinicopathological parameters. Shh overexpression was not associated disease free survival (log-rank = 0.079, p = 0.778). Shh is overexpressed in well differentiated CRC. However, Shh is not associated with other clinicopathological and prognostic factors. Loss of Shh may be associated with proliferation and loss of differentiation in CRC. Further molecular studies are required to address the potential importance of Shh signalling in CRC and to test Shh inhibitors and activators as potential therapeutic targets in CRC. Helicobacter pylori infection is a widespread problem all over the world. Non-invasive techniques are demanded for rapid diagnosis and treatment follow up. The aim of this study was to compare the diagnostic value of phenol red chromo-endoscopy and stool (Rapid Strip HpSA) for H. pylori detection with reference to histopathology as the gold standard. A total of 80 adult patients with dyspepsia were enrolled on this study. Patients underwent phenol red chromo-endoscopy. Multiple Gastric biopsies were taken and examined for H. pylori detection. Stool sample was collected from every patient for Rapid Strip HpSA test. The study included 38 males (47.5%) and 42 females (52.5%) with their ages ranged between 19 and 56 years. According to histopathology, 71 patients (88.8%) were H. pylori positive and 9 (11.2%) were negative, most of biopsies showed inflammation with variable degree of activity, which showed significant statistical correlation with the density of H. pylori (P < 0.05). Phenol red chromo-endoscopy had 90.1% sensitivity, 88.9% specificity, 98.5% positive predictive value (PPV), 53.3% negative predictive value (NPV) and 90% accuracy. Rapid Strip HpSA had a sensitivity 93%, 77.8% Specificity, 97.1% PPV, 58% NPV and 91.3% accuracy. In conclusion; Phenol red chromo endoscopy was more specific and less sensitive than the rapid stool Rapid Strip HpSA® test regarding the detection of H. pylori infection with reference to histopathology as a gold standard, yet both showed high diagnostic accuracy; thus they can be used as reliable diagnostic tools for H. pylori infection in cases contraindicated for gastric biopsy. Gold nanoparticles (GNPs) have numerous medical applications as in biological imaging, cancer treatment and in implants (pacemakers and stents). Many conflicting results about GNPs safety and its accumulation in liver, kidney and brain were recorded. This work was carried out to study the histological effect of long period exposure to gold nanoparticle on the brain of adult male albino rat. Twenty adult male albino rats were divided into two equal groups: The first one served as a control group and the second one received 400 μg/kg/day GNPs by gastric tube once daily for eight weeks. 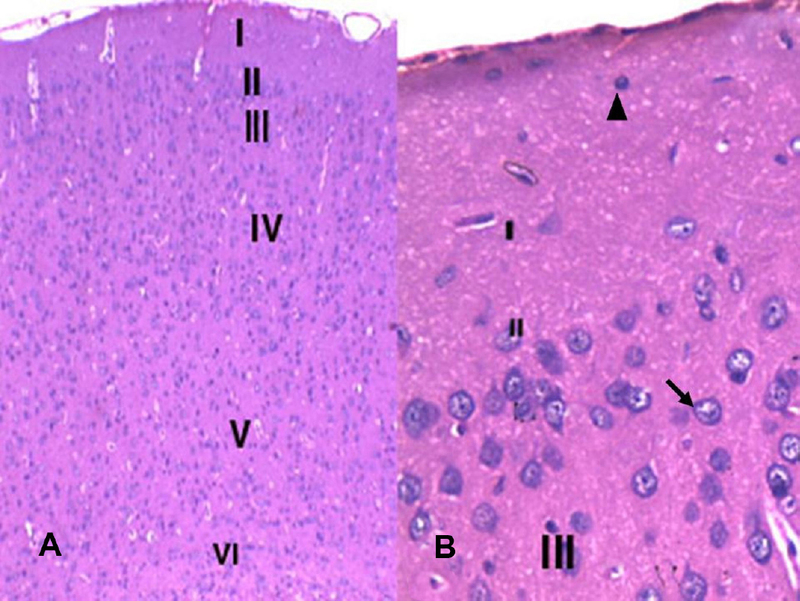 Brain specimens were collected at the end of the experiment for histological and immunohistochemical studies using caspase-3 and glial fibrillary acidic protein (GFAP). GNPs treated group revealed wide spread histological alterations and deposition of gold nanoparticle aggregates in the neurons of cerebral cortex and hippocampus and also in the epithelium of choroid plexus with hyalinization of the wall of some blood vessels and disruption of the capillaries. All these changes were associated with localized positive caspase 3 reaction. Various degrees of astrogliosis were evidenced by astrocytic proliferation and increase size of their cell body with increase number and length of their processes. It could be concluded that repeated exposure of adult male albino rats to gold nanoparticles induced its deposition in the brain in association with histological alterations and various degrees of astrogliosis. The thyroid gland has long been recognized as an important modulator of reproductive function. Both hyper- and hypo-thyroidism are associated with reproductive dysfunction and infertility. In addition, thyroid hormones appear to play a key role in the expression of events that underlie seasonal reproductive cycles. 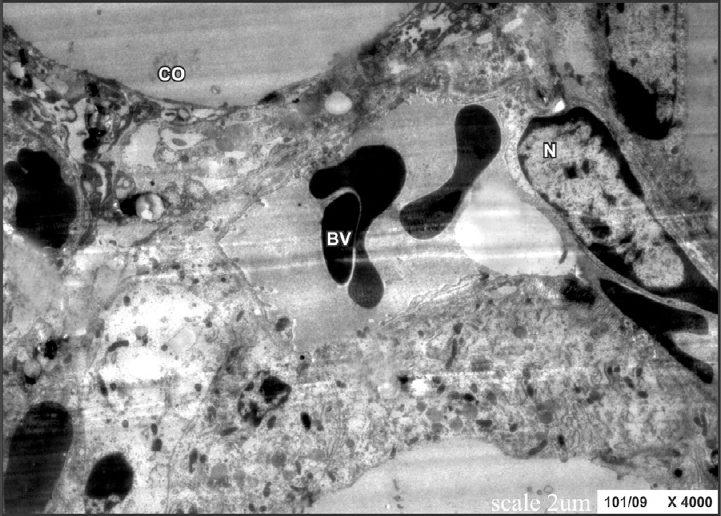 Despite the considerable information is available on the histology of thyroid gland in some of the bats, literature related to study is very few, and further information available on the ultrastructure is also scanty. The specimen of Taphozous kachhensis was collected from Ambai Nimbi. Many collections were made during the breeding season so as to coincide with the time of reproductive cycle and to get an accurate pregnancy record. Thyroid is removed from the bat and cut into 1–2 mm piece and immersed in fresh ice-cold 3% gluteraldehyde solution for 2–4 h and send for further process. The thyroid gland is more active during estrus than the pregnancy and lactation. The cell organelles observed in follicular cell of thyroid gland indicate more synthetic activity. While during pregnancy and lactation the thyroid gland is not synthetically active but the appearance of more lysosomal bodies during pregnancy indicate the utilization of stored colloid and release of thyroid hormone in blood stream. The parafollicular cells are more developed during pregnancy and lactation than estrus as indicated by ultrastructural characteristics. These cells may secrete calcitonin, serotonin, and somatostatin and may be responsible for controlling the seasonal changes in plasma calcium concentration in this bat. Micropropagation via induction, multiplication and development of nodular cultures (NCs) is an efficient regeneration system for Bromeliaceae, a family of endangered monocot plants with ornamental value. Therefore, the present work aimed to induce NCs from seeds and leaf explants of Vriesea in order to characterize the morphological and histochemical aspects of induction and formation of these cultures. Seeds of Vriesea friburgensis var. paludosa were sterilized and inoculated into liquid culture media supplemented with different concentrations and combinations of growth regulators. 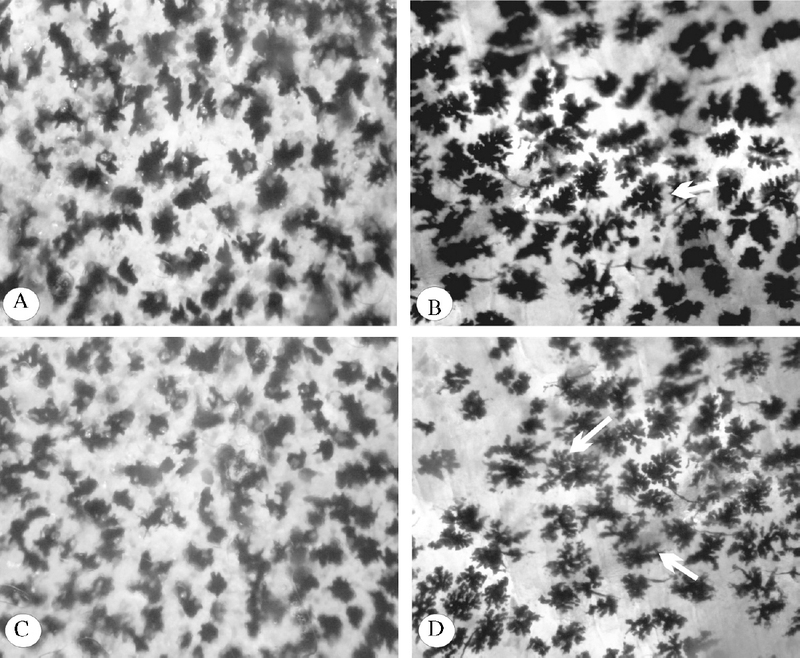 Leaf explants of Vriesea reitzii were inoculated into medium supplemented with 4 μM α-naphthalene acetic acid (NAA) and 2 μM 6-benzylaminopurine (BAP). The addition of NAA (4 μM) in the culture medium used for seeds led to an induction rate of 72% in NCs. First, the embryo began to germinate, and afterwards, nodular structures started to form. While NCs formed from seeds is associated with root and shoot meristems, the formation of NCs from leaf explants involves the intercalary meristem. Meristematic cells generate an appropriate response in the induction medium, producing NCs by the proliferation of small cells with meristematic characteristics and large vacuolated cells. These results provide a better understanding of morphogenetic responses in bromeliads and, hence, the opportunity to develop optimized micropropagation protocols. Berberine is an active compound of Berberis vulgaris (Daruhaldi) with known multiple pharmacological activities, including antimicrobial, antiviral, anti-inflammatory, cholesterol-lowering, and anticancer effects. The present work aimed to study the ultrastructural effects of berberine to determine its skin-darkening potential using Bufo melanostictus melanophores, which has not been done to date. Light and electron microscopic analysis of isolated dorsal skin melanophores of B. melanostictus has been done after treatment with various concentrations of berberine, along with specific antagonists and agonists of β-adrenoceptors in order to explore the mechanism of action of berberine-induced skin darkening. The results showed that the number of melanophores with melanin-loaded dendrites increased in the subepidermal layer significantly in berberine-treated skin pieces in a dose-dependent manner leading to skin darkening. Highly electron-dense melanosomes of Stage IV increased considerably due to the enhanced process of melanization. These effects were found to be antagonized by propranolol, and were also found to be highly potentiated by isoprenaline, which is a specific β-adrenoceptor agonist. The findings show that berberine possesses a skin-darkening potential and could be used as a safe melanogenic agent for the treatment of hypopigmentation disorders or vitiligo.